ConFoo 2019: Only 25 tickets left. Will you be among us? ConFoo is next week and will bring you over 156 technical talks, presented by 89 local and international experts, over the course of three days. It's a unique opportunity to learn from the best and make new friends. You live in Montreal but can't attend? No worries, we got you covered. 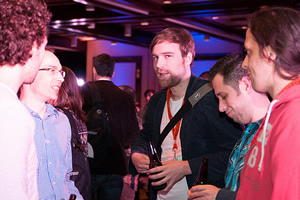 You and all members of Montreal's developer and startup communities are invited to free networking events during the ConFoo week. 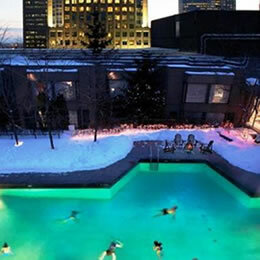 Hang out with the ConFoo crowd at Les Soeurs Grises on Tuesday night starting at 5:30pm. Enjoy drinks, food and a pleasant atmosphere. Address: 32 McGill St.
Join us for a cocktail right after the Thursday presentations. The event will be held on the conference floor. The event is open to the public so you can invite your friends and colleagues. The cocktail starts at 4:45pm. Address: 900 de la Gauchetière West. 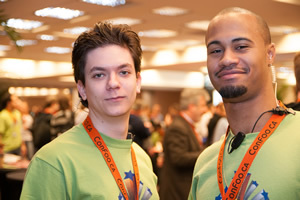 Looking forward to meeting you at ConFoo. We're looking for people who can make a minimum 1 day commitment. Those who volunteer on March 11-12 will be helping with setup for the conference. Those who volunteer from March 13-15 will be stationed in the speaker sessions and around the conference venue to help with attendee requests. Attend presentations on new, exciting technologies given by international industry experts. Meet and network with members of the web community, forward-thinking tech companies, and our international speakers. Enjoy all the perks of attending the conference: delicious food throughout the day, free t-shirts, and cool swag. Your evening meal is on us.